A stylish, modern, and functional interpretation of classic shapes, presented with a palette of materials and textures. This backpack is designed to bring simplicity and convenience into everyday life. A rare combination of comfort and sophistication. Rely on it to impress as well as to perform. 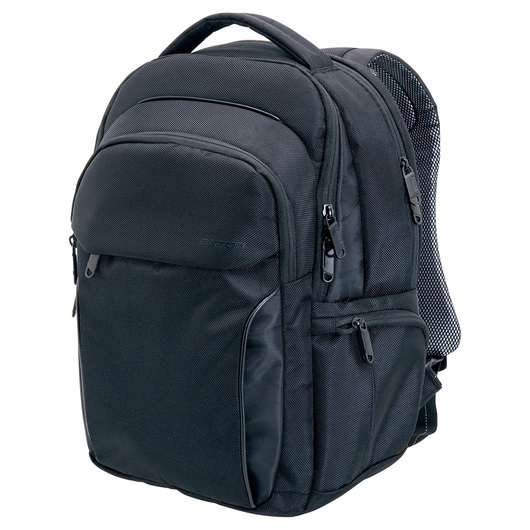 This backpack offers amazing amounts of storage space in comparison to other backpacks. Made from 1680D polyester/210D nylon, with 20 litres capacity. 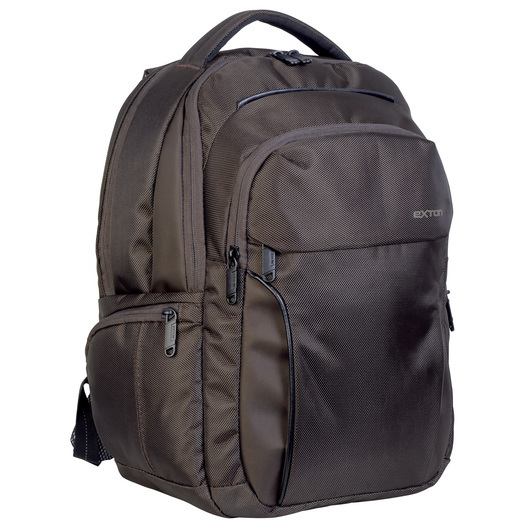 It features a front zippered pocket with multi-function organiser, large main compartment for maximum storage, padded rear compartment to store and protect laptop (fits up to 15" laptop), middle compartment has both slip and mesh pockets for versatility, generously padded back panel for carrying comfort, adjustable padded shoulder straps and top grab handle, tough and modern, back sleeve to slip easily over trolley handles, solid branded zip pull, and dual side zippered pockets. Fashionable and functional modern backpack. Roomy compartment for your accessories and gears. Ideal for students, travellers, and office workers.